Health care plans are flourishing in the market with a lot of benefits being given to the policyholder. Likewise, in the recent years the insurance companies are even launching plans and policies for taking care of your pet. 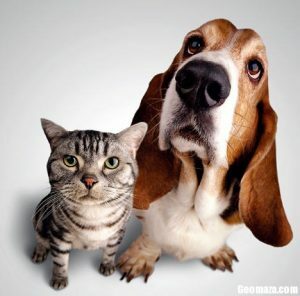 The pets health care plan is now buzzing the insurance industry, all over the world. With more people turning to own a pet of their own, they are also getting really serious about taking utmost care of them, just like they would have taken care of their own kids or any other member of their family. Therefore, they are not leaving any stone unturned for this purpose. Just like the human beings, the animals are also living creatures and they also undergo the same mental and physical stress that is experienced by the humans. Therefore, it is obvious that they might also need medical attention at certain period – may be due to illness or accident. 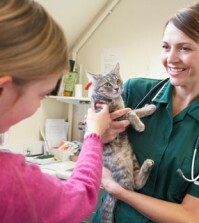 Treatment of animals is carried on special veterinary clinics under the supervision of specialist doctors and surgeons. This might require a huge sum of money, as in case of treatment of humans. Insuring your pet under the pets health care plan will certainly help you in case your pet animal suffers from any kind of disease, illness or accident. Guarantee of life – Plans under this category cover the treatment cost of illness or any kind of injury inflicted upon your pet. The provisions even cover for the cost incurred for treating any chronic illness of your pet during its old age also. 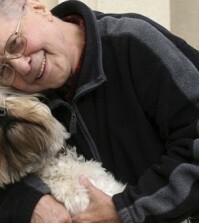 These pets health care plans can be continued without any break. Plans for specialized treatment, including complementary therapies – You can even opt for certain plans that cover the cost of special treatment and complimentary therapies of your pet. In many cases, it has been found that the pet animals need special treatment, just like the human beings need, such as dermatology, oncology, cardiology, orthopedic, etc. These treatments require a lot of money, and the owners might not be in a condition to bear the cost. Insuring the pet under certain pets’ health care plan will certainly help the owners to breathe a sigh of relief. The insurance plans would definitely be of immense help, in case of certain medical emergencies. Accident coverage – Several health care plans of the insurance for the pets also cover the treatment resulting out of accidents faced by the pet animals. Nobody can certainly predict when an accident might take place. Your pet might meet with an accident while crossing the road or while going on a stroll with you. Since it is a living being, it is not always possible to keep continuous eye on it, and the animal might just stroll on the road and meet with an accident. Insuring your pet under the accident policies of the pets’ health care plan will certainly provide you a bit of relief to face such unprecedented incidents, in case they happen. The insurance company will look into the payment factor related to the treatment of your pet in case of such untoward incidents.